Patrice Simard is a Distinguished Engineer at Microsoft Research, Redmond. He is passionate about finding new ways to combine engineering and science in the field of machine learning. Simard’s research is currently focused on making machine learning widely accessible for replicating tasks easily done by humans. He received a PhD in Computer Science from the University of Rochester in 1991. Simard then worked at AT&T Bell Laboratories before joining Microsoft Research in 1998. He was Chief Scientist and General Manager of Live Labs Research in 2006 and Chief Scientist of Microsoft’s AdCenter in 2009. 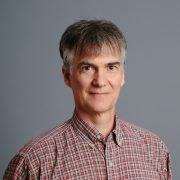 In 2012, he returned to Microsoft Research to create the Computer-Human Interactive Learning (CHIL) group. In 2015, he became Deputy Managing Director at Microsoft Research. I am a Distinguished Engineer and a Deputy Managing Director at Microsoft Research. My research interests include Machine Learning, Algorithms, User Interfaces, Vision, and Signal Processing. When not managing, I am working on the Machine Teaching aspects of ML. My focus is on the teacher rather than the learner. I optimize productivity metrics such as: human efficacy to achieve a generalization target, cost of maintenance, scalability with the number of teachers, transferability, interpretability, and resilience to adversarial teachers. After a long quest for the best prototyping language, I have settled on F#.